5 years for 100 vs 3 years for 121? He would be making more money in the 3 year deal. How does the length of the contract benefit him in any way? He got 5/100 instead of the 2/46 that LA offered. Neither was the 3/121 he wanted, but he got more with Miami. I LOVE HOW ALL THESE SUB-500-POSTS-JUST-JOINED-LG-AFTER-THE-ASB-POSTERS-ARE-TRYING-TO-SCHOOL-US-ON-LAKERS-HISTORY! So you think there was no middle ground between Shaq and the Lakers? You think they ship him off instead of coming to an agreement if Kobe isn't in the picture? All of the negotiating and decision making going on in 2004 was centered around making Kobe happy. I didn't just join LG and the Shaq/Kobe feud is NBA history just as much as it is Laker history. Kobe Bryant is LA. He is the Lakers. It's disrespectful to even remotely think of the possibility of waiving him at the request of some clown. No...no he is not LA, no he is not "the Lakers". He has been a great player and has had a great run, but in the 47 years before Bryant ever put on the Lakers uniform, the franchise went to 24 NBA finals. 24 in 47 years. True. Kobe isn't the Lakers, and Dwight even less so, which makes it ridiculous that Dwight would request that the Lakers amnesty the most accomplished star in the franchise's history. The bottom line is that even though Dwight played hurt, he half-assed it for a good portion of the season because he wasn't happy with his role in the offense. Hurt or not, Dwight had a whole season to make his case as someone worthy of leading the Lakers franchise...and he failed. Shaq yelled at Doc Buss during a pre-season game, "Pay me the f-in money." Doc didn't appreciate that very much. By midway through the season, Doc Buss decided he'd rather trade him a year too early than a year too late. That's Laker history. All this talk of the Shaq/Kobe sprung off your opinion that the Lakers should've amnestied Kobe to appease Dwight. Frankly, that just makes you look trollish. Even if you are correct in assuming that Shaq and Phil were sent packing in 2004 simply to appease Kobe, you'd be hardpressed to make that same argument with regards to choosing Dwight over Kobe. If we were talking about Lebron or Durant in Dwight's place, then I'd understand your argument a little better. Like I said, arguing that we should've kept Dwight over Kobe just sounds like something that would come out of troll especially given the fact that Dwight did not play hard for a long stretch of games and Kobe literally turned himself into a swiss army knife in an attempt to get us to the playoffs. If Kobe had went to the Clippers Dr. Buss would have payed him the f-in money. I'm not saying Shaq had no part in leaving but Kobe was the driving force behind it. All the other stuff just made it easier for them to let Shaq go. Well effin said dude. Kobe played till his achilles exploded and was averaging 7+ assists a game, literally spoon feeding the Diva buckets. And this guy as the audacity to say that Kobe and Nash didn't have his back? What a moron. Good riddance. Also, how good will Dwight be 4-5 years from now. With all the arguments about keeping Dwight, my greatest fear was having to pay him his next contract. Bingo just be glad that in 5 years the Lakers will not be paying Dwight 30 million. i have been saying this for a long time, Dwight's real reason not signing with the Laker is KOBE BRYANT and the front office's indecisiveness on Kobe's future. all those Jim Buss MDA bashing can put to rest now. the front office knows the real reason, that's why they didn't fire MDA, cuz they know even if they did Dwight would still skip town. think about it, Kobe never wanted Lakers to go after Dwight last summer, and the way Mitch and Jim welcome him to the team, they way they claimed Dwight being the future of this franchise must have eaten Kobe up alive inside. i wish Lakers front office would have been more transparent to Dwight about Kobe's future. they can tell Dwight Kobe is staying a Laker as long as he wishes, OR they can tell Dwight indirectly that they will amnesty Kobe. the fact the front office tried to dodge this completely throughout the season was a big factor Dwight isn't here now. I agree. Howard would have immediately committed to the Lakers if Kobe had announced his retirement after the season. However, I think Howard also comes back if Phil is the coach instead of MDA so Kobe wasn't the only reason. 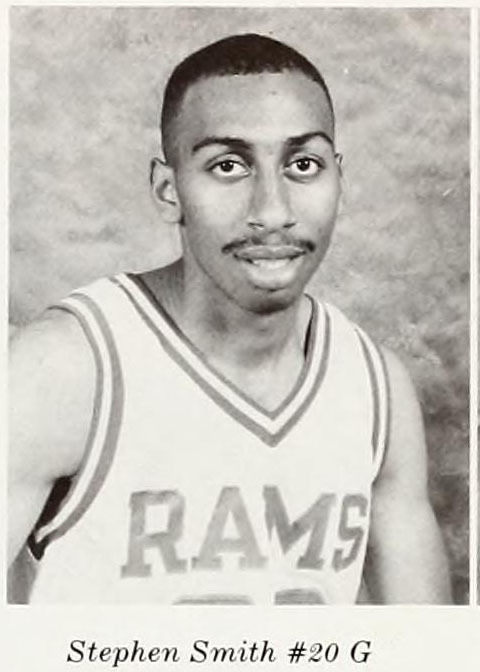 Phil would turned off Howard faster than he did Kobe back in the day. All right, this thread has more than worn out it's welcome, just like D12 himself. I'll leave this locked thread here a little while for people to catch up, then we're moving this puppy to the Volt. If any new D12 articles come out (will the sun rise tomorrow? ), then please post them in the General Basketball section.